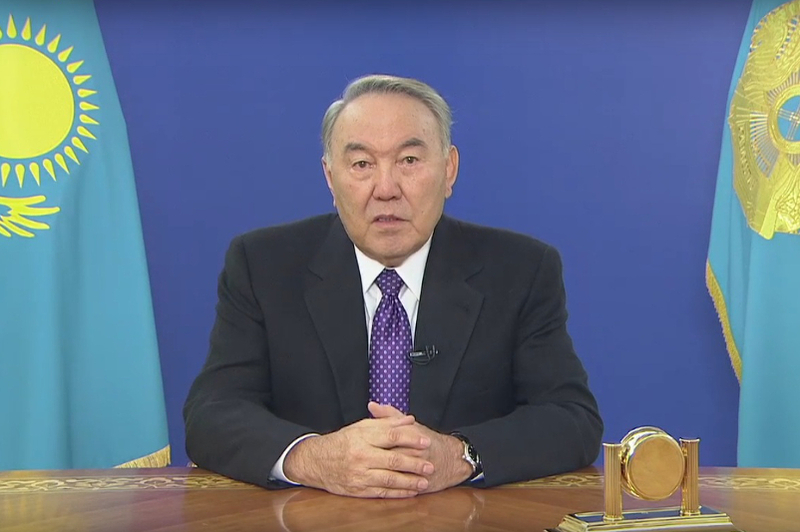 ASTANA – Kazakh President Nursultan Nazarbayev gave a special televised address Jan. 25 to the nation on the redistribution of powers among governmental bodies which would involve, among other steps, amending the country’s Constitution. A special working group had been created by the President’s decree in December 2016, which carried out a thorough work on the issue of redistributing powers. “The upcoming reform is based on the principles of our development and the principles of modern development in general. The quintessence is that the President delegates some powers to the Parliament and the Government. Vertical separation of power was necessary to us in the course of overcoming the enormous difficulties of state formation,” Nazarbayev stated in his address. According to him, the reform is aimed at improving the efficiency of the public administration system. The essence of the proposed reform is a serious redistribution of power and democratisation of the political system as a whole, he said. The role of the government and the parliament will be significantly expanded. The transformation, according to the Kazakh President, will be conducted in two key areas. First, a significant part of the president’s functions on regulating social and economic processes will be transferred to the government and other executive bodies. Secondly, the relations between different branches will need to be balanced at a constitutional level. Nazarbayev proposed to strengthen the role of the parliament in terms of its influence on the government. Nazarbayev proposed to transfer the approval of state programmes to the government, so that it will bear full responsibility for those. The government might as well acquire the right to form and to abolish central executive bodies that are not included in it. The project on constitutional reform will be presented for public discussion during Jan. 26 – Feb. 26, 2017. The following is an informal translation of the full text of the televised address of President Nazarbayev of Jan. 25, 2017. I address you on a fundamental issue for our country. The issue is redistribution of powers between branches of government. A special working group was created in accordance with my decree. The group has done a great job. I was briefed on the work accomplished by the group. The upcoming reform is based on the principles of our development and the principles of modern development in general. The quintessence is that the President delegates some powers to the Parliament and the Government. Vertical separation of power was necessary to us in the course of overcoming the enormous difficulties of state formation. This principle justified itself. All our achievements were accomplished precisely under this system. This reform is aimed at improving the efficiency of the executive system. We have built a new state, a new economy, and a new society. The efficiency of our development path proved right in the course of history. Marking the 25th anniversary of our independence, we talked about our achievements, including the work of the authorities, the presidential system. But the world is changing before our very eyes. The speed and complexity of social processes are growing in Kazakhstan. 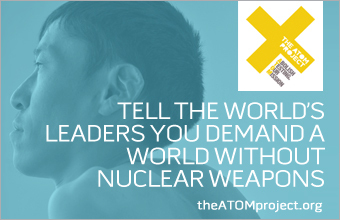 Already today we have to think how to respond to global and regional challenges that will inevitably take place in the coming future. The essence of the proposed reform is a serious redistribution of power, democratization of the political system as a whole. Under the new conditions, the President’s priorities will include strategic functions, the role of supreme arbiter in the relations between the branches of government. The head of state will also focus on the foreign policy, national security and the country’s defence. The role of the Government and the Parliament will increase significantly. This work will be conducted in two key areas. First of all, it is necessary to transfer a significant part of powers in regulation of social and economic processes from the President to the Government and other executive bodies. The government, ministries and akimats (regional executive offices) will be fully responsible for this. Delegation of powers can be achieved through changes in the relevant laws. About 40 functions can be transferred either to the Government or the Parliament. Government will introduce these amendments as a matter of priority to the Parliament for adoption before the end of the current session. Second, a more difficult task is to balance the relationship between the branches of government on the constitutional level. It is important to strengthen the role of Parliament in the formation of Government, to enhance the responsibility of the Cabinet before the deputies. The winning party in the parliamentary election will have a decisive influence on the formation of the Government. On this basis, it will be logical, if the government will abdicate authority to the newly elected Mazhilis, not the President, as it was before. It is necessary to simplify the procedure for expression of no-confidence to the members of Government from the Houses of Parliament. This will strengthen the control of the legislature over the executive branch of power. We should also transfer the right of approval of state programs to the Government, for which it will bear full responsibility. Government should have the right to form and abolish the central executive bodies that are not included in it. The President may waive the right to cancel or suspend the acts of the Government and the Prime Minister. All of this will increase the responsibility of the executive agencies and their officials and will give them the necessary authorities. The current rules on the possibility of adopting the presidential decrees that have the force of law have lost their relevance. It is proposed to strengthen the role of Parliament in relation to the local executive authorities. In addition, we need to study the issue of improving the functioning of the Constitutional Council, the judiciary and the prosecutor’s office. At the same time, we need unconditional assurances for immutability of our constitutional system. The working group will continue to operate; they need to thoroughly examine all of these issues and to prepare a package of proposals for further public review. The proposed programme will help to solve three problems. Firstly, it will help to ensure stability of the political system for years to come. Secondly, increasing the role of the Government and the Parliament will provide a more effective mechanism of response to modern challenges. Yes, it is a more complex control system, but also the society has become more complex. I am deliberately going to delegate a large part of the powers held by the president. And I will do it with a single purpose, which is to build a more efficient, sustainable, modern system of governance. Third, there is no universal model of government in the world. We are all in search of it. We have never engaged in copying foreign models of government. We have been trying to find our own, often unique solutions, although there are questions where we follow international experience. Our proposed reform is based primarily on our own experience and needs of Kazakhstan. The reform programme is our answer to the question in what direction Kazakhstan will move. The answer is clear and consistent: we will move in the direction of democratic development. Given the importance of the proposed measures, I decided to submit for public discussion draft of the constitutional reforms, which will be published. A relevant decree was issued. All of this is in line with the future development of the country and meets the five institutional reforms.